Ideal for architects, designers, decorators, artists and teachers. For building architectural models and prototypes as well as classic model railroad, plane and boat items. 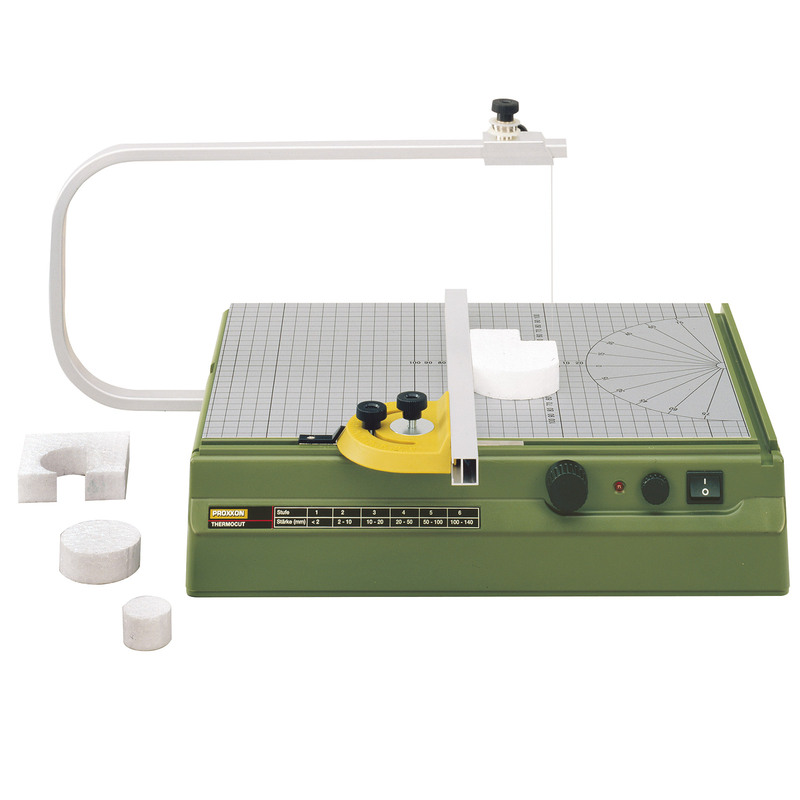 15-11/32" x 11" table ensures smooth and easy movement of the workpiece, while the printed grid and protractor assist with marking and cutting. Solid aluminum overarm has a 13-3/4" throat and 5-1/2" height. The holder and included wire coil (98’ x 0.008" diameter) may be shifted and adjusted along the overarm to enable miter cutting. An LED indicates operation and thus reminds you not to touch the hot wire to prevent burnt fingers (the wire heats to maximum in less than 1 second). Diamond blade for KS 115, Ø 2"